Simmons Scores at Budds Creek! Long-time customer Sterling Simmons, of Chesterfield, VA overcame plenty of adversity this weekend at Maryland International Raceway enroute to a win on Sunday. His Warren Engines powerplant propelled him to the #2 qualifying position, eventually setting him up a for bye-run in the semifinals. Sterling was also crowned champion of the previous night’s 1/4-mile Stock/Super Stock combo event. Congrats Sterling on an awesome weekend! 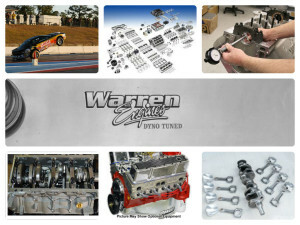 At Warren Engines, we believe there’s no such thing as “too fast.” And for that reason, we’re in the shop grinding out new ways to make power every day. Give us a call today to order your new dose of speed. We believe everyone should have the chance to go fast, and that’s why we ship our complete, hand-crafted engines to every corner of the world. 910-592-6724 Call us for a quote today! One of our very own Service Technicians Kevin Riner wins the Stock/Super Stock Combo event at Mooresville Saturday night. He outdrove six other drivers enroute to his victory. Great job Kevin! Final test of the dlvr.it app service that will post to facebook page from website blog. 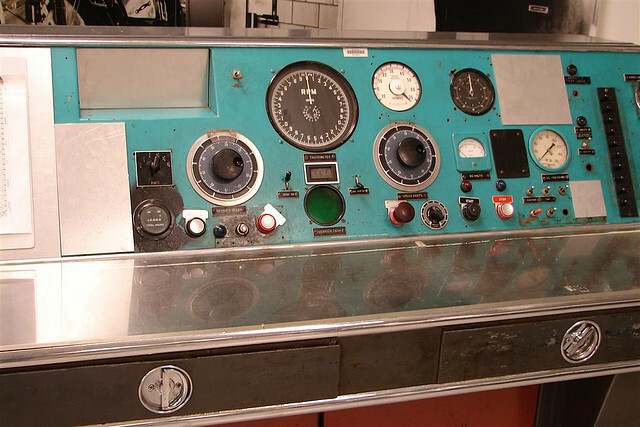 This is a test to see if when a blog post is made to the website, that it automagically shows up on the facebook pages. The Warren family’s very own Brooke Warren scored at this weekend’s Tournament of Champions qualifier at Farmington Dragway. This was Brooke’s first IHRA Quick Rod win (of many to come) and with it, she earned a shot to compete for the world championship in Memphis, TN in October. Currently sitting in 2nd place in the Division 9 standings, she also has a chance to narrow the Memphis field, by disabling other drivers from finishing in the top 3. Congratulations Brooke! Long-time Stock Eliminator racer Terry Taylor claimed the #1 qualifying spot in Sunday’s TOC qualifier event. Terry currently sits 3rd in the Division 9 points standings for now. Corey Taylor, of Lumberton, NC, was a mere one round away from securing a spot in the Tournament of Champions event in Memphis later in the year. This runner-up finish propels him to 7th in the Patriots Division Super Stock points standings. Missy Phillips wheeled her Warren Engines-powered Nova to a second place finish at Farmington Dragway this past weekend. 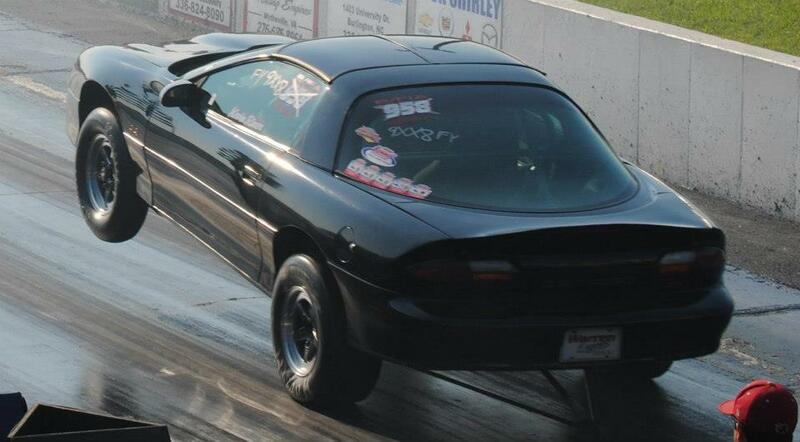 This boosted her to 7th in the D2 Stock Eliminator points. Missy was a measly 3-thousandths of a second away from gold. Autryville, NC’s Kevin Riner placed second in the IHRA divisional this weekend at Coastal Plains Dragway driving his Warren Engines-powered Camaro. Riner has also recently attained the title of track champion at Fayetteville Motorsports Park, earning him a spot at the Summit Super Series Team Finals at Piedmont Dragway in September. Congratulations! Cody Phillips wheeled his beautifully-painted ’89 Camaro to a runner-up finish in Jacksonville, NC this weekend. 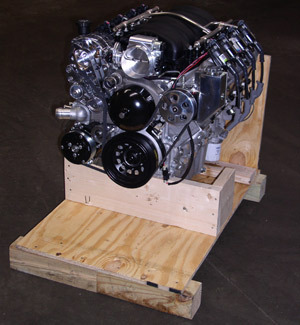 This Stock Eliminator machine is equipped with a Warren Engines-built Chevrolet powerplant. This is Phillips’ second final round in a row, following his runner-up in Jackson, SC earlier this month. This weekend’s performance boosts him up into the top 3 in the Division 2 Heat Wave points standings, as he reels in points leader B.J. Bianchi. Terry Taylor of Lumberton, NC, was the #1 qualifier in Stock at this weekend’s Pro-Am in Jacksonville. The multi-time champ wheeled his Warren Engines-powered ’74 Corvette to the top spot in the first session, posting a staggering 6.750 in poor weather conditions (Density Altitude 3400 ft). That’s -1.100 under his the I/CM index! 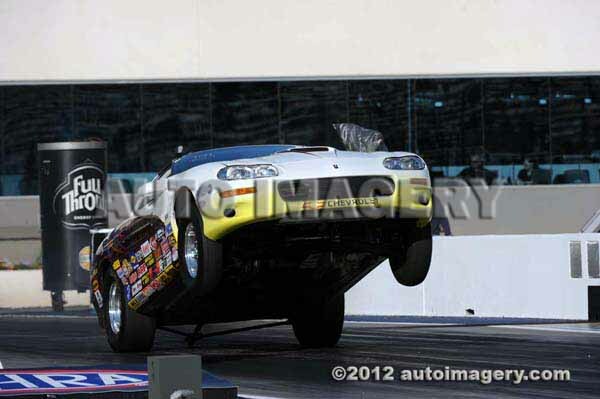 Also notable, Corey Taylor qualified in the top 5 of the Stock Eliminator field with his infamous wheelstanding Nova. Also equipped with Warren Engines power, this A/CM rocket has much to be proud of! 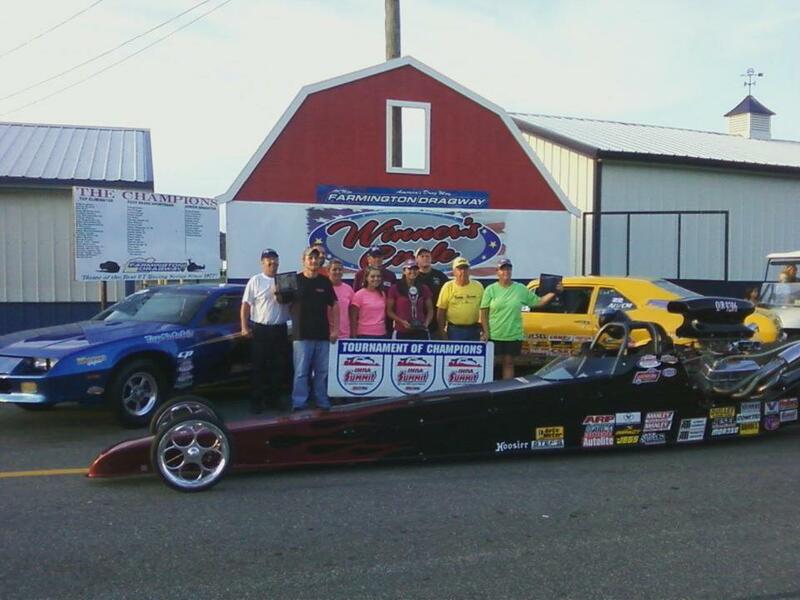 Brooke Warren gets runner-up at the SREPA 9-5 event at Dunn-Benson Dragstrip with her 509 CI BBC powerplant. This is Brooke’s 2nd Quick Rod runner-up finish in a row, following her runner-up at Rockingham Dragway earlier this year. Thomas Cashwell achieves 2nd place at the SREPA’s 5th Division 9 event at Dunn-Benson with his Chevy powerplant. 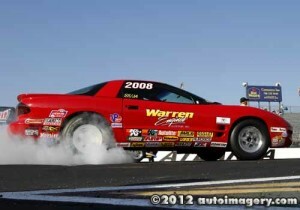 Thomas’s wheelstanding Camaro carried him to a runner-up finish which included a perfect .000 reaction time in Round 1! Terry Taylor qualifies #3 at the Dunn-Benson Pro-Am with his 1975 Corvette. 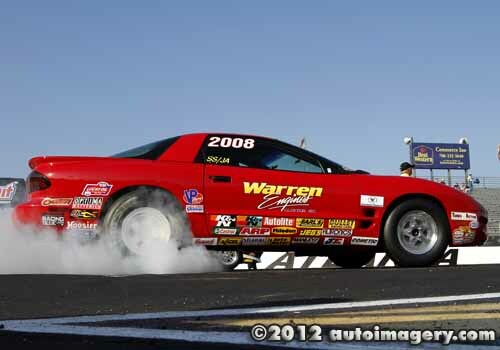 His Warren Engines crate motor machine propelled him to a pass of 6.807, -1.043 under the G/CM index!